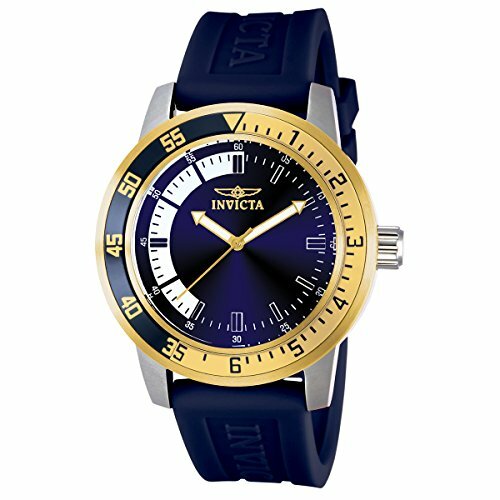 This hypnotic timepiece from the ‘Specialty’ series by Invicta will add distinction to your wardrobe. Its blue polyurethane strap is accentuated remarkably by its matching dial. With fashion and function in mind, this timepiece has a reliable Swiss quartz movement to help you keep track of your busy schedule.